I started writing this as a one-off post in July but I discovered that every month I would definitely have something new I want to try, so I’m going to try and make this a monthly affair. There’s a stereotype that Asians love to drink bubble tea, and to be fair they ain’t far from the mark. What I love most about this is that the bubbles are actually part of the product and not just packaging aesthetic – you’re supposed to ‘gently rupture the bubbles with the spatula onto the palm and rub with the fingers to mix the bubbles and pack’. This definitely sounds like a fun masking experience. Come on, it’s Gudetama!! To be honest, the reason why I first bought anything from Holika Holika was because of this collaboration with our favourite egg friend. 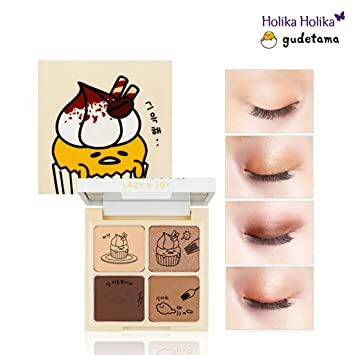 Packaging aside, I think the colours in this palette are great for most skin tones, and especially for beginners – it’s hard to go wrong with nudes and browns! The colour payoff also looks quite intense from swatches, which I really want to find in an eyeshadow product from a K-beauty brand (it’s really rare to find Korean brand eyeshadows that give an intense payoff, please don’t ask me why). I think by now all my readers would think that I am obsessed with this line of products from too cool for school. 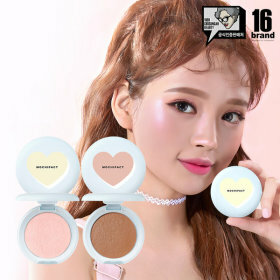 I raved about their blush, lusted over their contour, and now I’m eyeing their highlighter 🤦 but honestly, look at how pretty it is, and that glow! To be fair I think the model already had super clear skin, but it looked a lot more 3D after that highlight, which is especially great if your features look flat in photos (aka me). That bubble tea face mask looks amazing but my question is if it is a one time use or a multiuse thing? OMG I would want to buy the too cool for school highlighter toooooo!!! BTW I have the contour one and its awesome!! The packaging for each of these products is super cute. ❤ The Too Cool for School highlighter trio looks interesting with all the different finishes!